You all know that Mod Podge Rocks, right?!?! Well, it does. Just ask Amy Anderson, Mod Podge extraordinaire...the genius behind the blog Mod Podge Rocks and now the book by the same name! Amy is a super-cool gal, and her projects are just as cool. I was lucky enough to be sent 2 of Amy's new books...one for me (yay!) and one for one of you! Woo hoo! And not only that...PLAID, the creators of Mod Podge, have thrown in a whole bunch of product to giveaway, too! Want to see what fun things PLAID has thrown in? Here's how to enter...simply use the Rafflecopter below. Can't wait to get your hands on Mod Podge Rocks! ? Well, you don't have to...you can buy your own copy here or here! *Thank you so much to Amy Anderson & Sterling Publishing for donating the Mod Podge Rocks! books. Thank you, too, to PLAID for donating so much wonderful Mod Podge product! You guys rock! The biggest thing I've ever Mod Podged is a suitcase. My little girls use it for doll clothes. 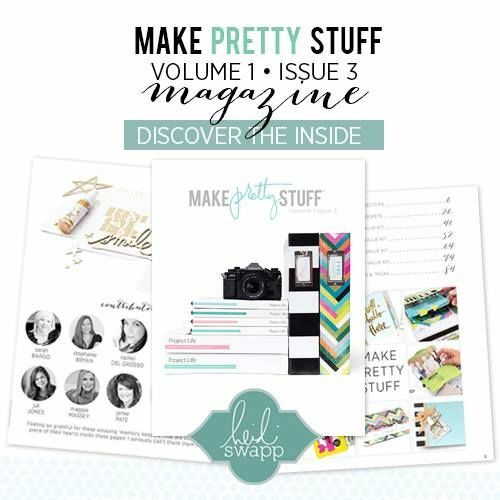 What an awesome giveaway ... and I'd love to make a project with you!! i have had very little practice beyond puzzle savings but i had some awesome plates etched and planning on cutting out fabric for the back of the plates. I haven't, but have been wanting to try it for awhile now. I'd love to try simple blocks first w/ my sons name on them! I made a keepsake box for my oldest 2 children with paper mache boxes, patterned paper, and mod podge. I love mod podge and recently used it on a dresser I made over! My last Mod Podge project was a serving tray, it serves as a backsplash under my kitchen cabinets, love it! The last think I Mod Podged was a postcard for mimosa loving sister. I took a clipping from a magazine that said "Hey, it's ok...if you think orange juice tastes funny without champagne", decorated it up and Mod Podged it on a piece of paperboard I pulled out of recycling. I've done several things with it--clipboards, boxes, wood letters, and even my son's bed! 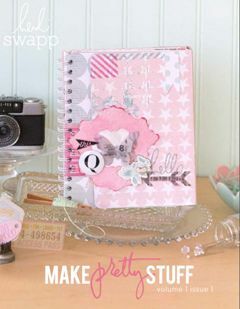 I use Mod Podge all the time, I would love to have that book and all of the goodies! I've never mod podged anything. I would love to try! I made Christmas photo ornaments.. so easy so awesome!! I have mod podged several things- I glittered some glass Christmas balls using Mod Podge; I have applied diecut scrapbook letters to chipboard albums; I have used glitter Mod Podge to add die cut shapes to cards & scrapbook pages; and I'm sure I've done more than that, too! I have the matte & sparkle Mod Podges but have never seen the others you've shown here. They look like fun, and I would love to participate in a challenge! mod podge rocks and so do you! I use Mod Podge all the time! My most recent project was some magnets using Dimensional Magic! I used mod podge to put a map on a small table. It rocked. I use mod podge all the time - I am even using it on a craft tonight - recovering a couple of old trays! I decorated a jewelry box with Justin Bieber on it for my granddaughter and used mod podge on it. It was a hit with her. Who ever thought Justin Bieber would look good with mod podge all over him! Great giveaway! I love mod podge! 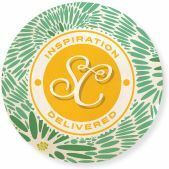 I've used it on jewelry, ornaments, scrapbooks and more! oh wow fabulous!!! I love Mod Podge, have just started playing ... loving it! I use Mod Podge for making my own embellishments for cards, love it! I always use Mod Podge on Mixed Media Art projects and my art journal. I can add a lot of texture to the pieces. I have used Mod Podge on a frame, chipboard albums & boxes, coasters, I use it a lot!! Great Giveaway!! Thanks for the chance!! UHM, the question should be more like what HAVEN'T I ModPodged. . . LOL! I use it daily in my art journal to hold down any variety of things from collage pieces, to buttons, ribbons, etc. . . I use it to seal pages and keep them from being ruined. I made some pretty eggs at Easter using strips of paper and wooden eggs, I also use it make an antique glaze that I put on my leather bracelets, just mix Mod Podge with brown acrylic paint! I could go on and on, but you get the picture . . . Mod Podge ROCKS! I mod podged my husband's old desk since i was converting it into my arts and crafts table. it came out quite beautifully and now i'm obsessed! I'm curious to see what's in that book. I've used it to put new paper in the bottom of a tray - though my top coat didn't quite work out how I thought it would! I have used Mod Podge on making frames and wooden letters. I have mod podge coasters and canvas art for my daughter's room. Thanks for the chance to win! Love making ModPodge projects. I use it to attach my cutouts to different items. I accent some of my wooden crafts with fabric and use it to apply a coating over the fabric for extra texture and protection. Fun! I would love to do a project with you! I'd love to try any of this stuff! I'd love to learn how to use mod podge! I'm what you'd call a newbie crafter! I'd be honored to do a project alongside you! 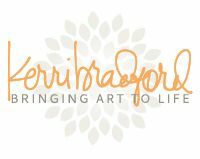 I heart your blog and Mod Podge! Thanks for the giveaway! Goodness! I had no idea that Mod Podge had such an extended product line! Amazing giveaway - so much fun packed into those wee bottles! OH - I forgot to tell you what I have Mod Podged recently - vintage book pages on a dressmaker's Judy - she turned out really cute and I smile every time I look her way! I have never Podged before. I've seen things Podged and it looks like a lot of fun! Would love to try it! Thanks for the chance to win! I haven't! But I've bought my modge podge and I've got lots of great ideas to try. I'd love to be entered to win this awesome book and the products..
Have I ever podged anything? What haven't I podged? All my craft projects use the Podge. Oh man.....I would love to start working with mod podge again! Mod Podged a pumpkin for Halloween! Gosh! I think I have been mod-podging since the 1970's! I didn't know that they made so many products now...I would love to be entered in the give away. Thanks. I've mod podged all sorts of things... tissue paper eggs, lots of things with scrap book paper. I have not tried fabric yet, but it's on my to do list! I've mod podged jars, clip boards, and a ton of other stuff. Never fabric, but that's what I want to do next. 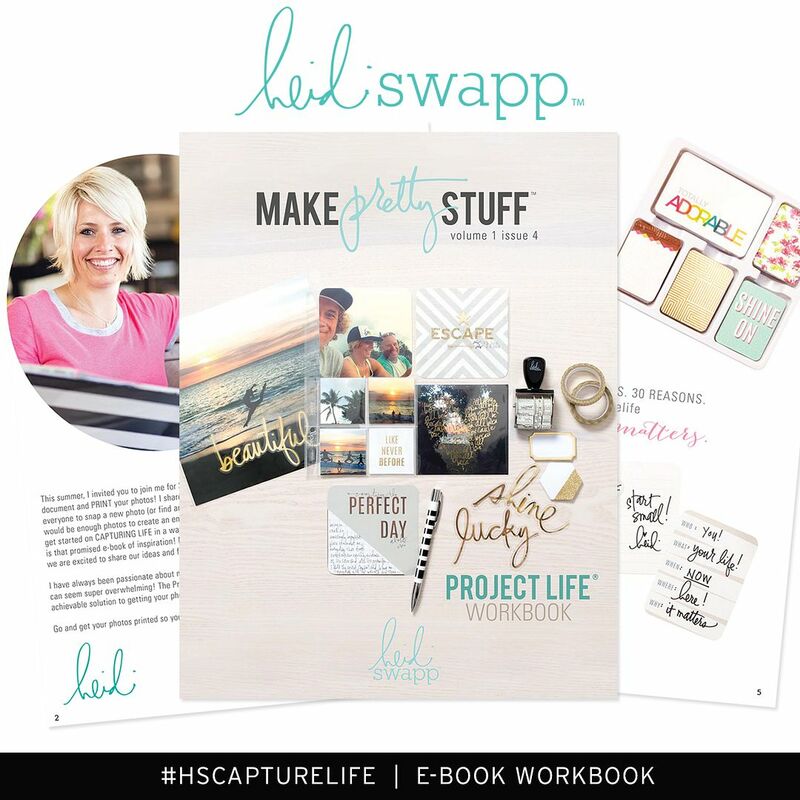 Love the idea to pick a project from the book and both create something!! I have not done a great deal mod podging - just a few magnet boards and a wipes container. I am newer to Mod Podging. I have only used it once before... Would love to try more projects with it! I have not but I would love to try! Oh, my ...Yes! I made these fun boxes for Valentines day to fill with candy and Mod Podged decorations and photos on the outside. LOVE the stuff. It has been years since I have done anything with mod podge. I have 2 old cosmetic/train cases that I plan to redo and mod podge is what I plan to use! I have never, but it looks like fun. I love mod podge, I use it for everything. All my projects are done with it. Its the best! I love mod podge and I have used it for frames and other home decor items. Thanks for the giveaway. I'd love to do a project with you. I love to use Mod Podge while introducing my niece to crafting. I've done a ton of stuff using Mod Podge, I usually use it for my paper mache projects though haven't done any in awhile. I'm from Pakistan and sadly havent found the all time fave mod podge of all bloggers...! My aunt in Uk sent me the Mod Podge craft glue and ive gone crazy after that-! Have made lots of jewelry since then-! Love it-! I have made jars with tissue paper on them with podge over them to give it a stained glass sort of look! I LOVE THIS STUFF! i actually roll my own pencils using mod podge, origami paper, and lead! I have never podged anything! I've modge podged lots of stuff. Most recently a wooden frame from Michael's. Ok I could have sworn I entered this one! I have never mod-podged but I would LOVE to try it! Holy awesome giveaway! Can you believe that I've never used modge podge!?! Winning this giveaway would force me to pop my modge podge cherry.